If you’ve been raised on modern autofocus DSLR’s, when you finally take home the Leica M you’ve so long lusted after, you’ll probably experience an initial twinge of buyer’s remorse, wondering what you might have been thinking when you spent $8000 for this simple little camera body and lens you’re now holding in your hands. Heretofore, you’ve learned your craft with big, impressive looking cameras bristling with technology, cameras crammed with buttons and menus and functions; cameras that instantly snapped into focus and set exposure for you. You’ll likely spend a few hours with your new M, familiarizing yourself with its simple controls, reminding yourself on an intellectual level why you chose to sell your Canikon and buy the M, maybe reassuring yourself a bit by reading Leicaphilia and what others have said about their experiences transitioning to an M. But, deep down, that first day, emotionally you’ll entertain a seed of doubt, suspecting you might have bought into marketing hype and wishful thinking. If you give it a few days you’ll start noticing things. You’ll begin to see that the ergonomics of the M are beginning to suite you better than your Canikon. Prefocusing your M without having to figure out what focus mode you need to use or having to hold down special focus lock buttons with your pinky finger will begin to seem immensely liberating in its simplicity. The depth of field scale on the lenses will encourage you to play with hyperfocal distance focusing and to think more about the pictorial effects of depth of field without having to outthink your camera. The image that you see through the viewfinder will further the process that convinces you your Leica M is special. What you’ll see through your viewfinder will be sharp and bright and uncluttered with extraneous information. There may be one simple exposure indicator in the bottom of the finder but no other confusing letters, numbers, lights or arrows. If you’re working with an unmetered film Leica and using a separate incident meter (as I encourage you to do) you don’t even need to worry about batteries and all the attendant stuff that goes along with powering a camera. You won’t see any meter indications in your viewfinder; nothing flashing, blinking, lighting up red or green or yellow or warning you of some arcane issue your camera thinks you might need to attend to. Nothing. Just the scene in front of you, unmediated by a mirror box or a live view screen. Simple, just like it should be. You’ll begin take your M to lunch with friends, or on a date or out on the street, all without attracting much attention or interest, (unless of course you’re pretentious enough to be carrying it around in some $800 calfskin bag marketed by Leica in conjunction with Magnum). You couldn’t do that with your F5 or D4; too big, too noisy, too ‘in-your-face’ for anything but staged ‘this is me smiling because I’m being photographed’ photos. And you’ll notice that you get more keepers with your M, because people tend to ignore you when you’re using it, in a way they don’t when you’re using your Canikon. Not taking the camera seriously, your subjects relax. Precisely what you need when shooting candid photos. Your conversion will be complete when you travel with your M. Before, you’d have to tote two DSLR’s (or F5’s if you’re shooting film), an 80-200 2.8 zoom, a 20-35 2.8mm zoom, a 50mm 1.4 AF, 85mm 1.4 AF, and extra batteries. Twenty pounds of stuff, not counting flashes, accessories and connecting cords. Your largest Domke bag, stuffed to overflowing. Because of the bazooka sized optics and DSLR mirror slap, you’d also need a tripod and a flash for most everything to compensate for your inability to handhold your DSLR. Now, your two M bodies and four lenses take as much space in your bag as one Nikon D4 and a lens without all the ancillary supporting items. You’ve discovered that smaller and lighter is always better when travelling, either around the block or around the world. 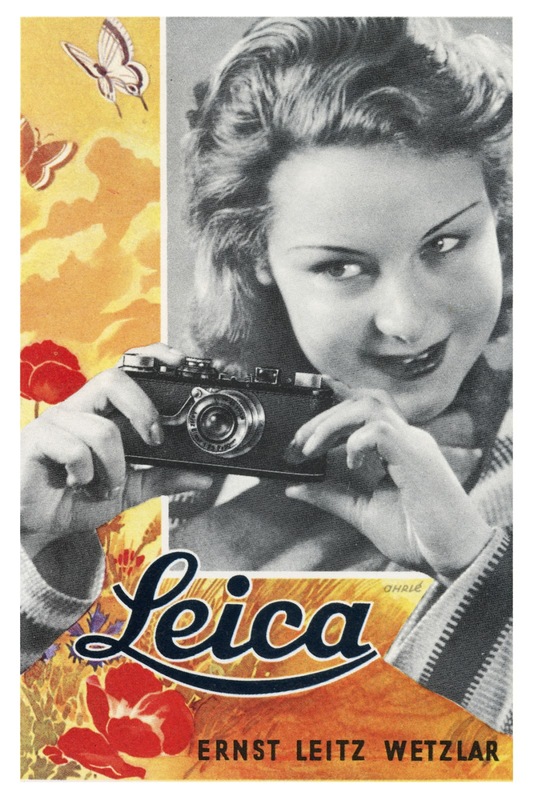 Industrial designer Alberto Alessi has said that the Leica M camera body is one of only a few 20th century designs he thought so perfect that he wouldn’t ever attempt to change it. According to Alessi, the iconic M design is perfect because it’s both aesthetically beautiful and practically functional. In other words, it’s beautiful, yes – but it also works. And what it still works best for is unobtrusive documentation. Your Leica M is a great camera for when you can’t stop and set things up, especially indoors when you’re forced to use available light. Almost silent, it allows you to shoot quietly and wait for the photo to appear. The image you’ll see through the finder will always be bright and in focus; frame lines will show the current cropping while what’s going on outside the frame lines will remain visible. Exposure will be simple too – set it and forget it. I usually work with two M bodies, one with a 28 or 35 and another with a 50. I’ll set default exposure by metering the back of my own hand with a handheld meter. Unless I’m shooting at sunrise or sunset, the light usually won’t change much during the shoot. I set the cameras and forget the meter. Correct exposure indoors is fairly simple – there are usually only two or three meter differences in any given room, al;most inconsequential if you’re shooting film with its forgiving latitude. In most situations I’ll shoot at f2 or f2.8, varying the shutter speed a stop only if necessary (usually only when using a digital M). When I shoot with an M I leave the exposure alone; since there is no auto-exposure I’m not tempted to use it. When I use my F5 I’ll often lazily chose auto exposure, which is theoretically “smart” but practically stupid when I’m shooting lightly toned subjects or are shooting in very dim light and want to faithfully reproduce the dimness. Point my F5 at a white coat or dark sweater and the automation will struggle. Point my M at the same subjects and my working knowledge tells me to open up a stop for the white coat or close down a stop for the dark sweater. Easy and simple. I get more consistent exposures using an M than I got from a Nikon F5 in the same situation, with the added benefit that, unlike the F5, my M’s are small and quiet and don’t intimidate my subjects, leaving me with a much better ratio of keepers – and I can shoot down to 1/15th of a second, something I can’t do with the larger, heavier F5. This entry was posted in Leica, Leica Camera and tagged Leica M on August 30, 2016 by Leicaphila. Great post, really. This is exactly what I’ve been experiencing for some weeks, since I sold all my Nikon set and I moved to Leica M-D. Shooting photos is now such a sensorial experience that I can’t stay without my Leica anymore. And I photographed my whole summer holidays with a 50 mm summicron – realizing it was enough for my needs. I remember my first encounter with the Leica M. I was visiting a friend in Paris about ten years back. I was a proud owner of a Nikon F5, an 80-200 f2.8, 20-35 f2.8 and an 85 f1.4 lenses. Out of curiosity, I requested to have a look at my friend’s M6. I held it in my hand and was dismissive of it not knowing how to operate it and not understanding why it should co-exist with modern SLRs. I quickly handed the M6 back to my friend. Twelve years ago, I sold all my Nikon gears when one of my sons was born. Carrying a baby and paraphernalia plus two SLRs, five lenses, etc. Gave my back, neck and shoulders constant discomfort. I bought a Leica MP, a 35 and 75 summilux lenses. I felt like a complete beginner. I misloaded film and shot pictures with the film not loaded properly. I was slow in focusing, I missed focus and had to learn how to control exposure. At times, I got frustrated. But what made me stay with the Leica was the beautiful feeling of the camera and lenses on my hand, the heft of the camera (it felt heavy, solid and reassuring), and the magical quality of the pictures from the lenses. The simplicity and the demand on the skill of the photographer was refreshing. I also found it pleasurable that I can produce sharp photos on slow shutter speeds on low light situations. This year it’s twenty years ago that i spotted a Leica in a shop that i could afford at that time. It was a M2 with an Elmar 2,8. That was my first set. It hit me from the first moment. This all metal body that lies in your hand like it has allways been there. Two years later i bought a M3 with the collapsable Summicron. That now is the camera i allways carry aruound with me since that moment. I dream of it. It’s a part of me. A good fellow. We share so much good moments and so much great light. Well, i love my single stroke M3, but i must confess i’m having a long terme love affair with the nikon F5. Not so noisy, superb metering, and consistent performance with my zeiss 35mm f2 manual focus. I dont see the point in comparing so obviously different bodies. Not the same use, not the same pleasure, two wonderful tools. I’m so glad Hector learned to both use and learn his Leica. I cannot afford to collect Leicas per se, but have made a ‘mini’ collection of the viewfinderless M bodies. I began with the MD and teamed it with a Visoflex 2 and the 280mm f4.8 Telyt lens. On a tripod, I use this set-up at cricket matches. I then bought the MD-2, a black, Canadian Leica. Initially, I teamed this with the Voigtlander 25mm f4 Snapshot Skopar (with screw-bayonet adaptor) and the 25mm viewfinder. This very compact lens, although a little slow, delivers great results. I later became tempted by a Leitz 21mm f3.4 Super Angulon (a Schneider lens), and a 21mm viewfinder. This is the 2nd of the 21mm lenses – f4 – f3.4 – f2.8 – f2.8 ASPH – and now we are back to f3.4 again! This MD-2 set-up is awesome in cities – London, York, Oxford, Norwich, Cambridge et al. Finally I got my hands on the middle one, the MDa, a viewfinderless M4. I teamed this with a 35mm f3.5 Summaron and the Leitz SBLOO 35mm viewfinder. I used this for a long time before noticing that the dealer I had bought the body from had another body in. When I reminded him that I already used a Leica MDa of his, he offered a very respectable discount for an immediate sale. So, in my bag I have two MDa bodies and swap lens and finder over when I reach the end of the roll. Venturing abroad with this outfit, I got hold of a Leitz framefinder for 3.5cm/35mm as a precaution in case the optical finder got lost or damaged. The MD is an M2, the MDa is an M4 and the MD-2 is an M4-2 without optics. I can recommend the Billingham Combination bag M for Leica. It carries my MDa outfit, films, meter, Filofax for notes and pens etc. Never any problems at airports over such a small bag but don’t load your Leica so they can look right through it!